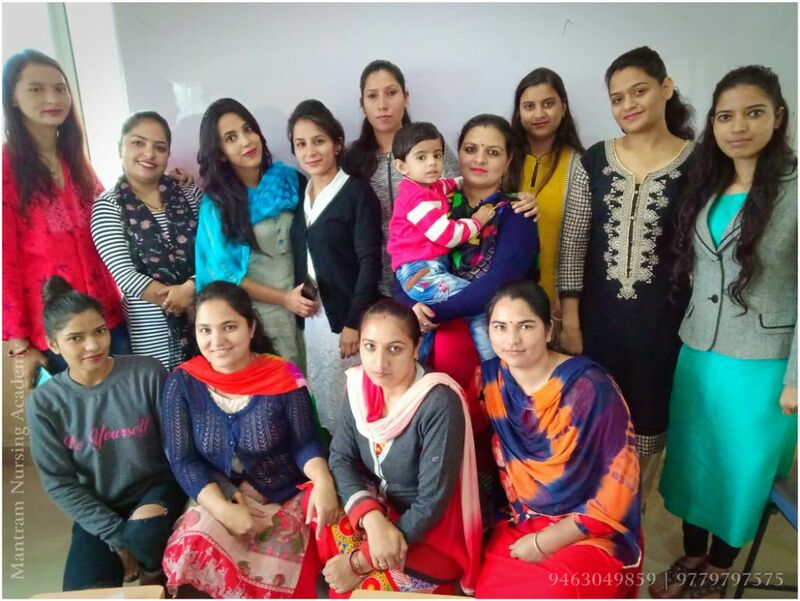 Mantram, one of the best nursing coaching institutes in Chandigarh, has proved its credentials as a perfect guide to its students, in many ways than one. It has always stood for the cause of the students and played a proactive role in their holistic growth and addressed their concerns. We, at Mantram, have been receiving valuable suggestions/ advisories from a cross section of the students from tricity and its neighboring states of Punjab, Haryana and Himachal Pradesh on issues confronting them. For over a period of time, we have been receiving suggestions to start special tuition classes for those who had certain doubts in their minds and wanted to improve upon. Buoyed by the overwhelming response/feedback received from them, we started tuition classes for nursing students, which, of course, is a whole new concept in the field of nursing coaching. The initiative received a huge round of applause from one and all. Mantram, which has emerged as the perfect Mecca for nursing coaching, is located in close proximity of Panjab University and Postgraduate Institute of Medical Education and Research (PGIMER), which makes it the most favoured hotspot for nursing aspirants. It has helped to shape careers of countless of career makers, who have been appreciative of our initiatives in terms of imparting timely guidance to them. Its competent faculty with rich experience in the field is Mantram’s another hallmark that makes it stand out among its competitive peers. Mantram has taken upon itself the onus of imparting the best available coaching for nursing students from across the country. Keeping up with the aspirations of the nursing students, the academy kick started tuition classes for those who find themselves at sea to answer their questions/queries relating to a particular subject/topic on their own and want to improve upon them. They look up for solutions to their own satisfaction and see their doubts, if any, cleared. By doing so, the academy has opened up a window of opportunities for the beneficiaries. The special tuition sessions, being offered by the academy, have been designed by the expert minds to help out the students who are pursuing diploma in GNM, graduate-degree in nursing (B.Sc./ post basic) and post-graduate degree in nursing (M.Sc. ), et al. The academy is also toying with the idea of adding new features to the concept so as to make it more comprehensive and worthwhile for the students, in view of the persistent demand from the beneficiaries. The special tuition sessions have been designed for those interested suiting their timings and budget constraints. The tuitions are being given under the watchful eyes of a team of highly competent faculty. The specially designed tuition model offers an opportunity for those who find themselves at sea in a particular subject and seek to make up for other deficiencies as might adversely affect their career trajectory. The initiative has given a reason to rejoice for those who found themselves stuck in a spot.